Del Cab founded in August of 2001. 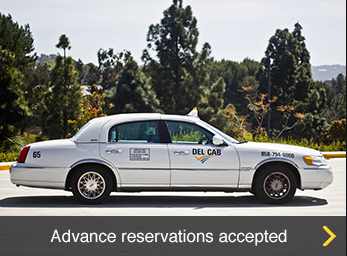 Since then we’ve managed and grown to be one of the most reliable cab companies in the North County of San Diego. 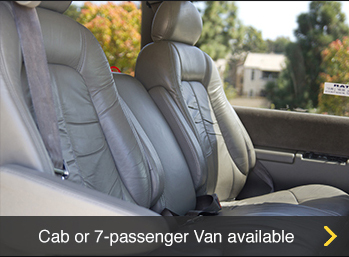 Our pick up zones are Del Mar, Carmel Valley, Rancho Santa Fe, Solana Beach, Cardiff by the Sea, Encinitas, Leucadia, & Carlsbad. We drop you off anywhere you need to be! 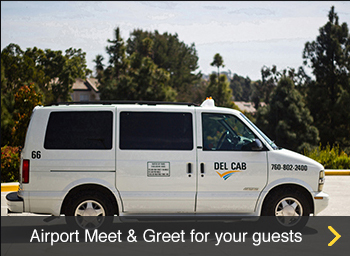 Call and reserve in advance to ensure on-time transportation to the airport, from where ever you are. You can even reserve online! Reserve your pick-up time to filling out the form bellow.